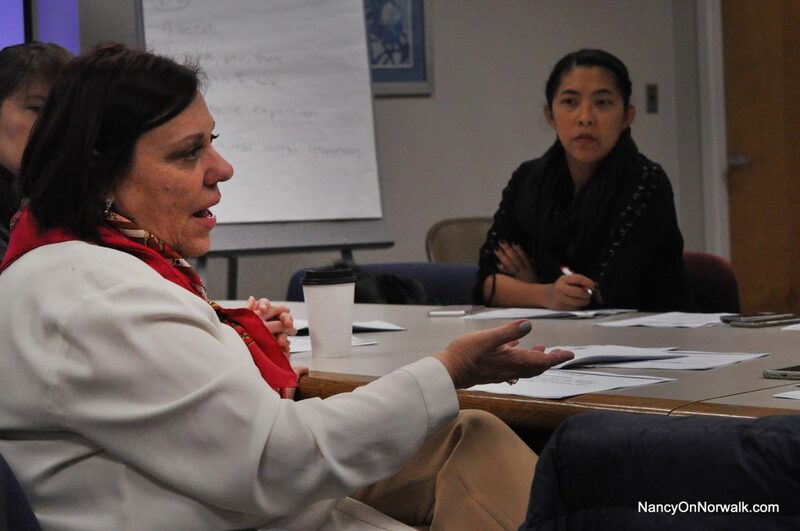 Norwalk Public Schools Chief of Specialized Learning and Student Services Yvette Goorevitch talks about Special Education at a March meeting. Updated, 2:55 p.m.: Copy edits, photo added. NORWALK, Conn. — School officials issued a statement Friday in response to a complaint regarding Norwalk Public School Special Education practices. Seventeen schoolchildren alleged in the complaint that the district’s Special Education practices have systematically violated federal and state laws which require a free and adequate education for all students. “We are shocked and disappointed by the allegations made by Attorney Keller, given the significant investment that Norwalk has made in special education in the past two years. Our strong preference would have been for advocates and attorneys to encourage parents to resolve concerns in a collaborative manner, before filing a complaint which will redirect untold hours away from the supervision of quality services for students and in-school coaching for our staff. Over the past year, we have successfully resolved concerns when they have been brought to us. “With the support of the Norwalk Special Education Development Fund, our district has made significant progress in revamping the delivery of services to special needs students, in alignment with recommendations in the 2015 CREC Report. 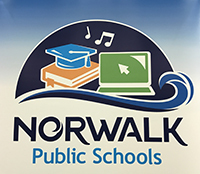 Although special education remains a shortage area throughout the state, Norwalk has built a strong team of special education teachers and administrators. In the past year alone, we have hired over 30 new staff members, including special education teachers, speech pathologists, school psychologists, BCBAs and social workers. The growth in program development and staff development has been unprecedented. “The recent opening of the Norwalk Center for Specialized Learning in Literacy, in collaboration with Fairfield University. “Project SEARCH, a transitional program implemented at Norwalk Community College in collaboration with NCC, Ability Beyond and the Bureau of Vocational Rehabilitation Services. “The Nest Program, a fully inclusive model for students with high functioning autism, now established in two Norwalk schools, with direct training and coaching from New York University’s ASD Nest Support Project. “Therapeutic programs at middle and high schools, redesigned in close collaboration with Cognitive & Behavioral Consultants of Westchester and Manhattan for DBT training, and including intensive in-school dedicated team coaching. “Building capacity for trauma-informed care within our schools, working with our partners at Mid-Fairfield Child Guidance. “All our innovative programs are committed to inclusionary practices, including Norwalk Early College Academy, the state’s first 9-14 P-TECH model program. These are just a few of the examples of program innovations that are underway to best meet the needs of our most vulnerable students. “The Connecticut State Department of Education is required to review Attorney Keller’s complaint, and will advise us which claims will be dismissed and which will require the district to provide additional documentation of compliance. The district takes compliance very seriously. NPS has established a tiered system of school supervision and support, based on data, to assist schools that need more support in the implementation of quality special education supports and services. Under the Board of Education’s Strategic Operating Plan and the district’s 2018-19 Priority Implementation Steps, approved by the Board on September 25, we are committed to accomplishing all remaining recommendations and compliance issues. We also look forward to working with private preschool partners in the School Readiness program to facilitate timely referrals and evaluations, as appropriate. They’re shocked? I’m shocked that they’re shocked. First, I have it on good authority that they knew this was coming. Second, I know that through several meetings and committees that all of these issues were brought to thier attention ad nauseum. While I appreciate the new programs, I still question the implimentation of them and the wisdom of the money spent on them when there are still so many systemic issues and children being under-served. I’m taken aback & experiencing anxiety reading the nps response…. I would’ve gave them much more respect if they would’ve simply said we are taking this matter seriously. But they’re not, just dismissing it is shameful. Where is Norwalk BOE board members? …. say something, please?!! Reach out to them so they know we’re here, we’re concerned, this is serious. Where are the Apples who tarred and feathered the last administrators whom they claimed messed up SPED? Why aren’t they back now criticizing Adamowski’s team? This is a far more serious complaint and yet we hear nothing from the old apples. What’s up with that? Shameful NPS! Shredding documents isn’t gonna get you out of this mess. And where is the BOE statement??????? What actions are being taken??????? Shredding WOW this is like a damn nightmare!!! How dare anyone allow that!? Unbelievable!!! I emailed BOE board members earlier and will be calling as well. All that read these comments should call them. On principal alone! I am reading it and I am like, these are the same responses i have got over and over again for the past year. We are working on this and that. Hello! Can you not hear what we are trying to say? These kids needed much care and appropriate services when they were 3 or 4. Damage has been done. And yes, I will contact the board members too. I guess we can now say we are shocked by the glowing reports given by the Adamowski team regarding the steps Norwalk schools were taking to address the recommendations of the CREC report.